I am super excited to bring with you this latest giveaway from ERA Organics. 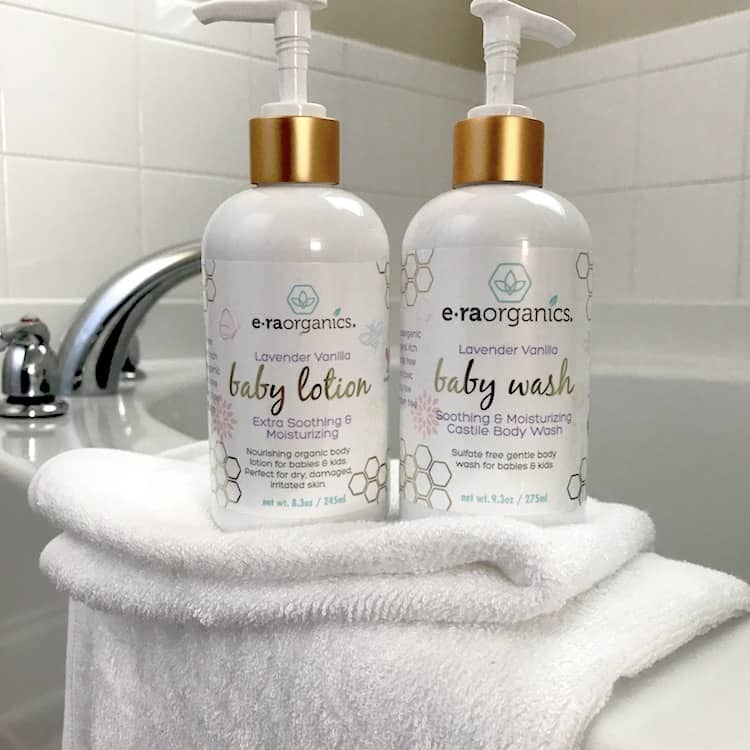 I first became familiar with ERA Organics a few years back and have loved every product that I have tried. Along with their traditional line of products, they have a Baby line that has everything you need to take care of your little one. 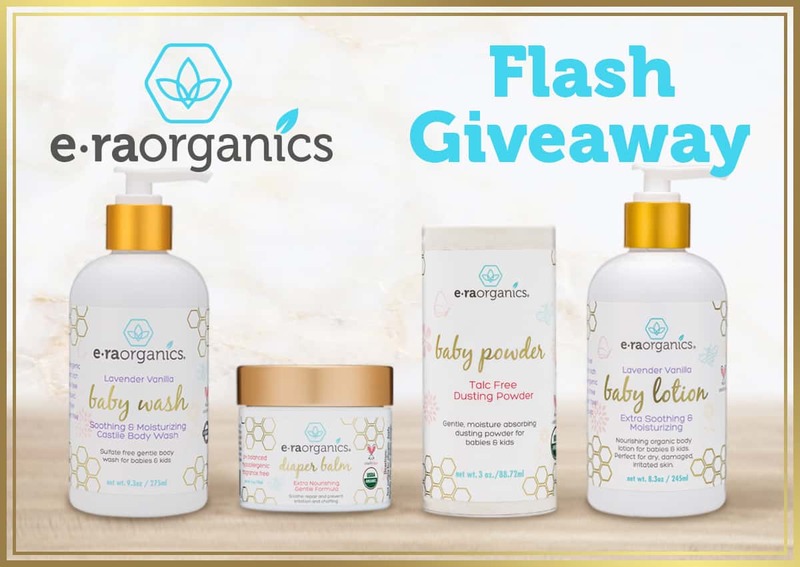 Check out the benefits of using ERA Organics on your baby & enter to win a prize pack below. These would be a great gift for new parents or new grandparents too! I’d love to win this to gift to our friends who are excitedly expecting their 1ST GRANDBABY ( a boy) in about 2 weeks! We just had our 1st grandbaby, also a boy, only 18 months ago. 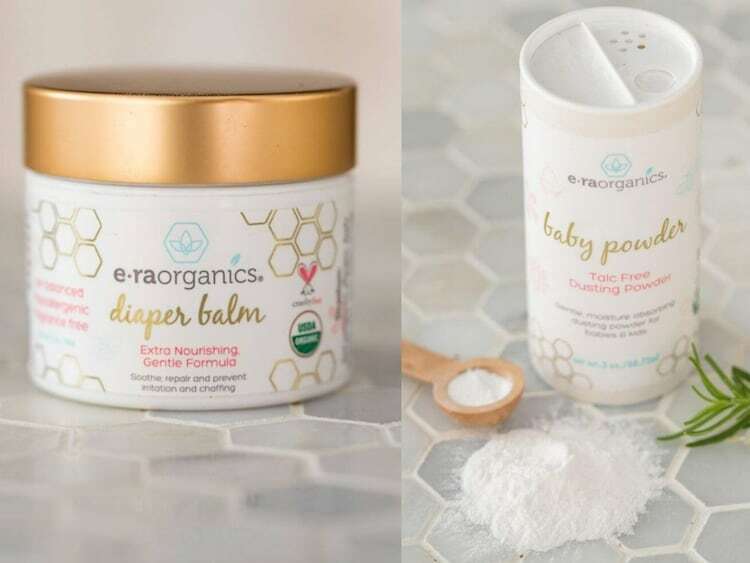 Babies have such sensitive skin and these products sound wonderful for that. I would like to try the Natural Cleansing Oil and Makeup Remover. I would like to try the Oasis Extra Hydrating Moisturizer Cream. Thanks for the giveaway!